This show is a dead end that’s not a dead end at all. 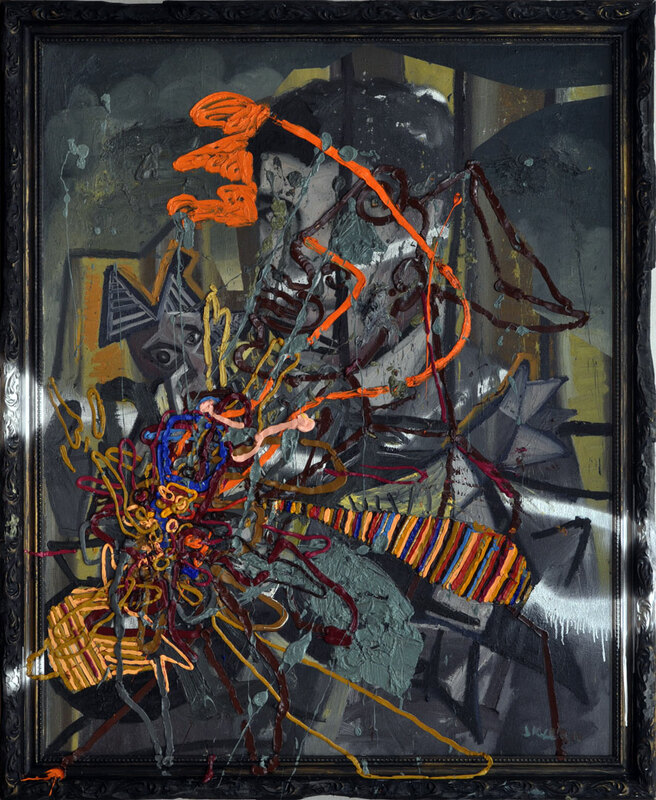 Jigger articulates this final batch of works, somehow setting an interment to end his running chain of framed, aesthetically deconstructed inside-out paintings. It might be due to his aching of constantly jumping forward into a new style and then into another (an experimentation that he always frequently involves himself into), or not. 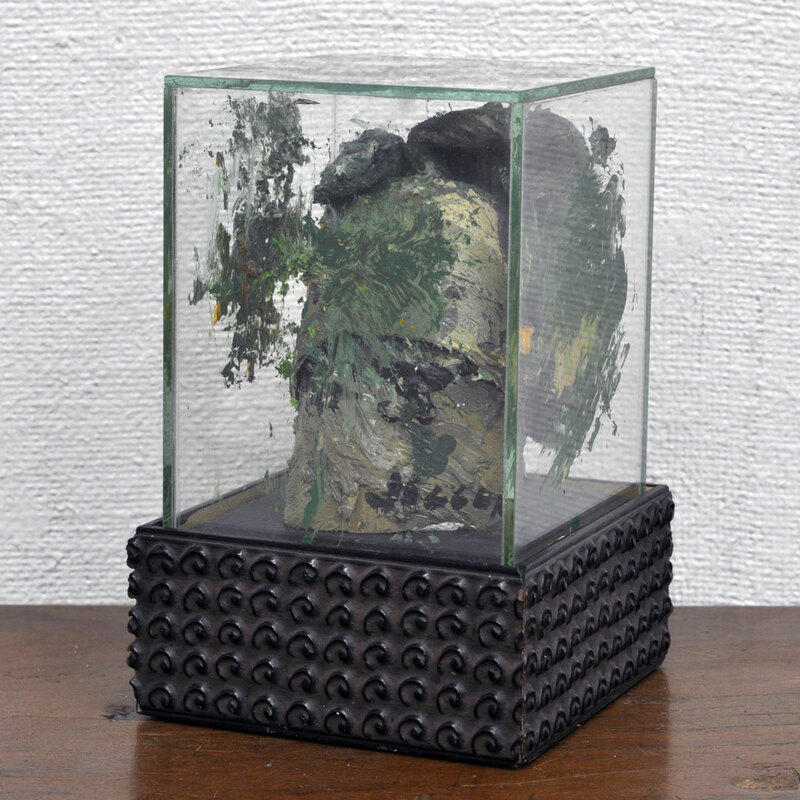 According to Jigger, this approach of presenting his artwork has already been stretched to both its visual and conceptual limits, resulting in a feeling of wanting to end it and move on to a new style, or perhaps just nurture it to a fresh form or philosophical structure. So these works might just completely disappear, or just acquire a new anatomy of beauty later on. Generally, the paintings look like as if they were holocaust survivors of the Third Reich’s Nazi plunder during the near end of World War ll. Painfully degenerative in its own literal state, some chips of the frame seem to peel off from itself, charcoal-burned down to its best. 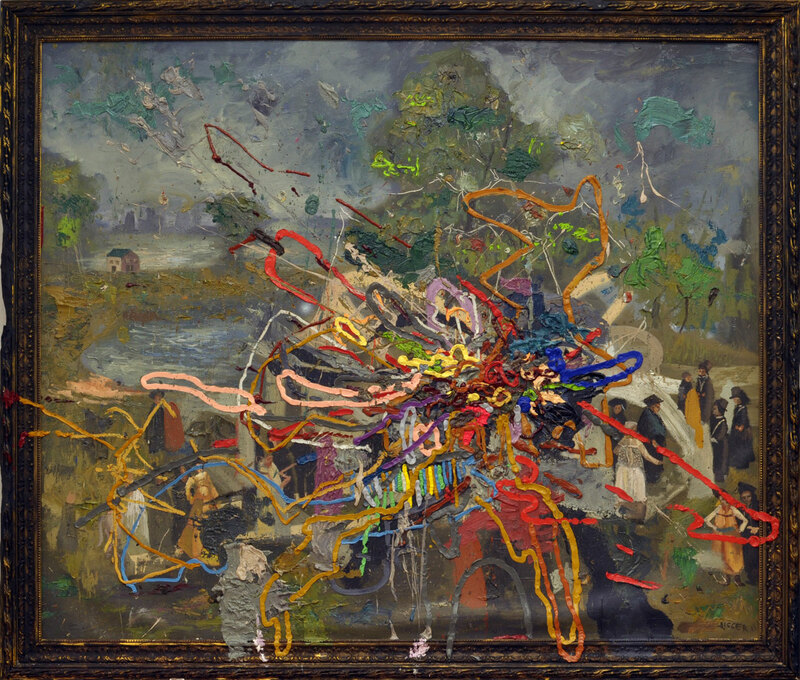 What further accentuates its time warped effect is the usage of classical, folk-like paintings in the background, which are painted with a dim execution of light in muddy green-gray. 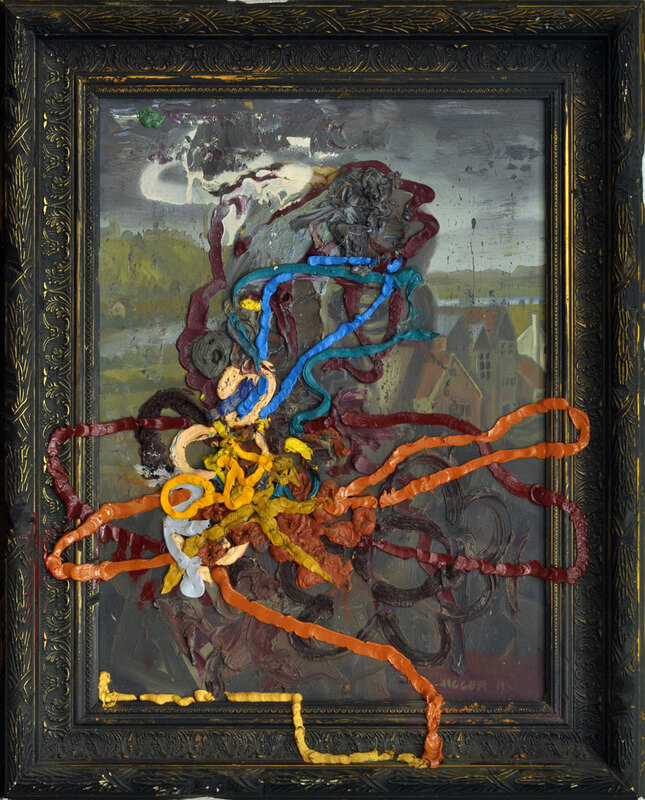 This foundation strongly meets with a contrast against its more aggressive foreground, which is done in a raw, abstract form of brightly saturated and textured colors, a complete opposite of the flat, detailed work below it. 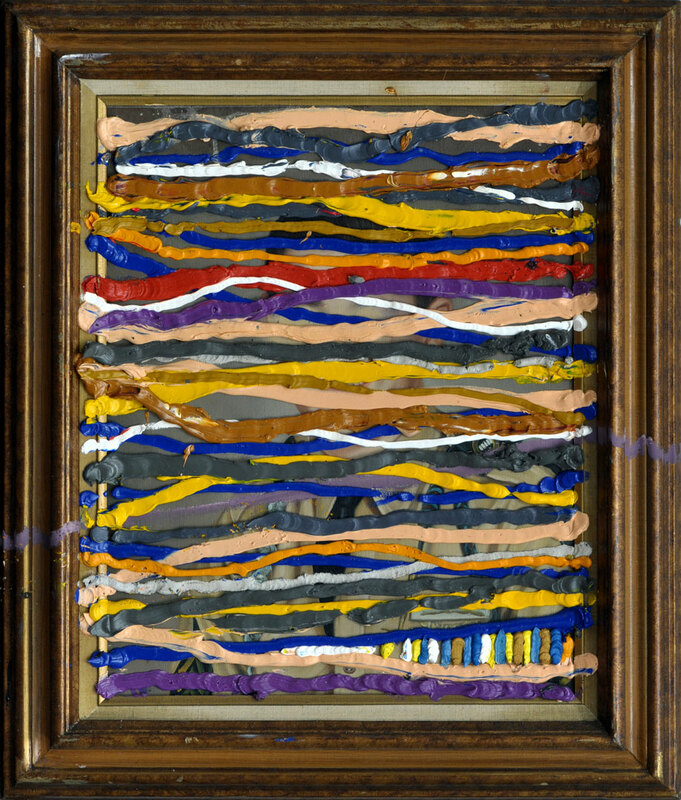 Once viewed closely, these tiny worm-like chunks of paint would even project an illusion of movement, due to their dimension and positioning of shadows. It’s a classic meets contemporary clash, but more than that, Jigger explains that it’s a simplified visual model of French philosopher Jacques Derrida’s deconstruction theory. 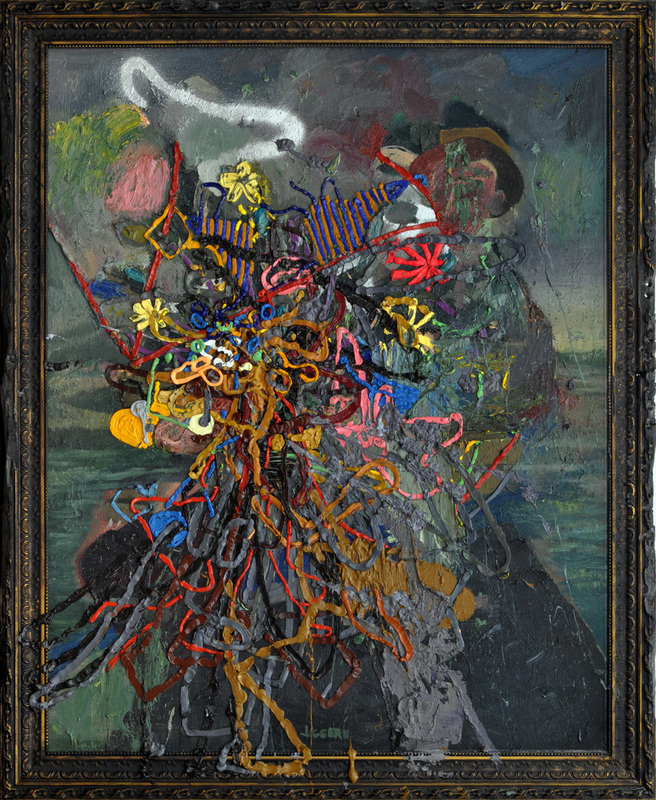 In this presumption, the genesis of the artwork is revealed as it explodes from its insides, further treating the background as some sort of a pedestal where it shows how the image is constructed through the use of basic, secondary/primary colors. 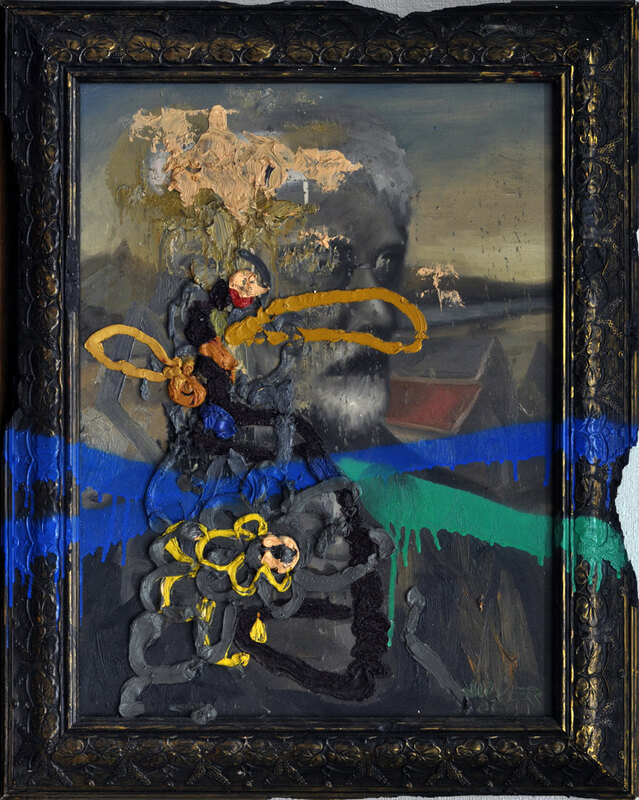 This procedure is more like a surgical operation, in where the artist would try to dismantle the image back down to its own origin, later revealing to its audience on how the clockwork ticks from the inside out. Ironically, this method is no different from an experienced pathologist slicing through one’s flesh, extracting out human organs, intestines, blood and other visceral waste from outside the body. Like an intricately arranged organic puzzle, he desperately tries to find out what in god’s grim world did actually happen to the erected corpse sleeping in front of him. Either that, or it’s a psychedelic art massacre of sorts.